Paying the right price for quality service is essential when looking for a removalist. Whether you are making a local move, an interstate or international transfer; the right services can make your move a significant experience. It involves credible financial investment and therefore it becomes very important to only choose the best. Choosing the right removalist is a task that involves time and efforts. You need to be completely sure about a mover before you go ahead and strike a deal. Looking at the many removalists around Gladstone, it can take several days or even months to be fully convinced with your choice. So what do you do? 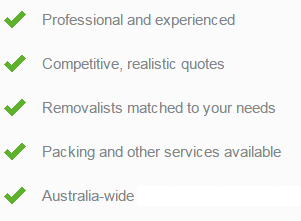 Lay your trust upon our removalists Gladstone team of experts. They will provide you with a list of comparable quotes from various removalists around the town. This list will be prepared for you keeping in mind your needs and requirements. 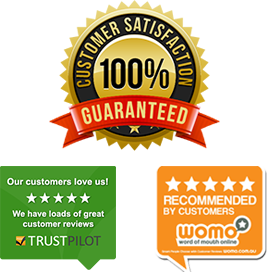 We only network with highly skilled and professional movers so you can trust our recommendations. Your transfer will be managed by a team of experts who guarantee safe and timely delivery of your goods. Each and every belonging is precious and your removalist will undertake this responsibility with care and efficiency. Our main aim is to help our customers save their precious time and effort. Thus, we put in effort from our end to assist our customers. We also wish to help our customers save money and as a result our service is free of cost for all our customers. With us, you can be rest assured that all your belongings will be moved under high quality and the best of the standards. There are many things that need to be managed during a transfer and our removalists Gladstone team willingly wants to take this responsibility and assist you.